A new study has found that drivers who are dehydrated can be as dangerous as those who are drunk or on drugs. Participants made twice as many mistakes as those who were hydrated. The study which was led by Professor Ron Maughan, from Loughborough University and was published in the journal Physiology and Behavior, showed that drivers who drank only 25 ml of water an hour made more than twice the number of mistakes as drivers who had drunk enough water, The Telegraph reported. “We all deplore drink driving, but we don't usually think about the effects of other things that affect our driving skills, and one of those is not drinking and dehydration. 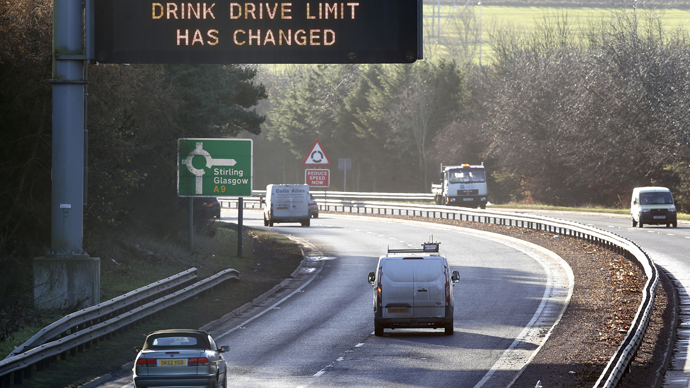 There is no question that driving while incapable through drink or drugs increases the risk of accidents, but our findings highlight an unrecognized danger and suggest that drivers should be encouraged to make sure they are properly hydrated,” said Professor Maughan. The driving tasks in the simulator included two hours of monotonous motorway driving, with bends, and simulated rubble strips as well as slow moving vehicles that had to be overtaken. When they were dehydrated the drivers would make far more mistakes, such as late braking, lane drifting, crossing rumble strips inadvertently. In total, drivers made 101 mistakes when they were dehydrated compared to 47 when they were normally hydrated.